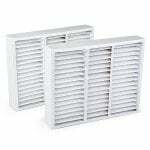 The FilterFast Brand Honeywell 20x25x5 FC100A1037 2-Pack is the compatible version of the OEM Honeywell 20x25x5 Air Filter FC100A1037. 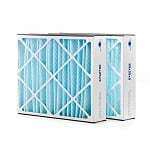 As part of the Honeywell FC100A Series Residential Air Cleaner replacement filters, this 20x25x5 furnace filter has 5" deep pleats designed to specifically replace other comparably sized air duct products. This filter is made of 100% synthetic gradient media and is supported by a 30 gauge galvanized expanded metal grid. 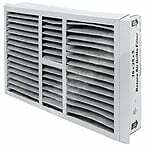 For odor control, the media pack of this Honeywell FC100A1037 air filter replacement is made of fine carbon powder bonded to lofted polyester media. To save money, this Honeywell replacement cartridge comes in a 2pk value set. 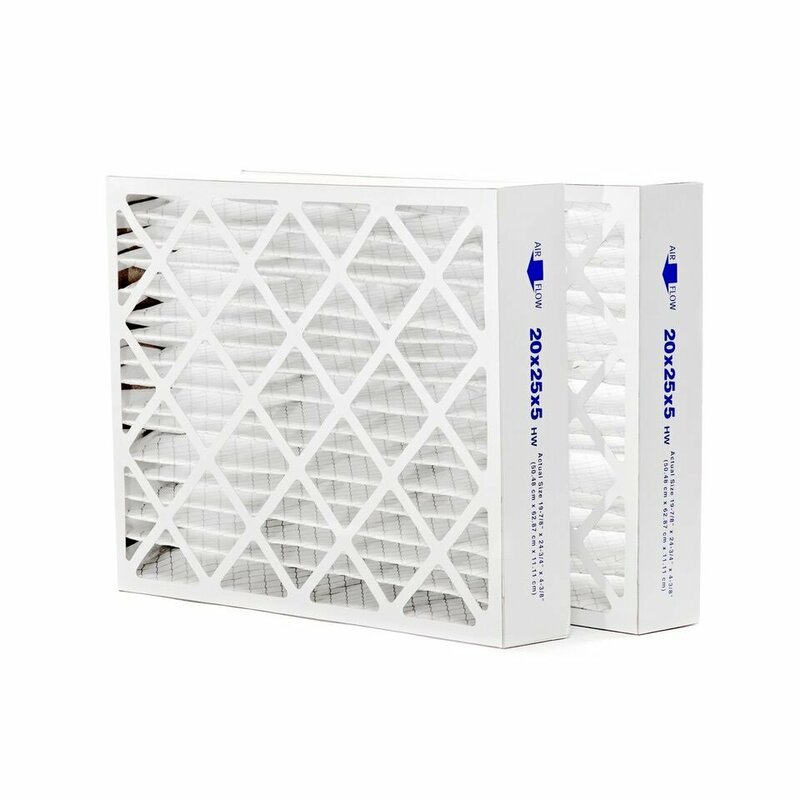 Based on usage and air quality, it is recommended that you replace your filter cartridge every 6 to 12 months for optimum performance of your Honeywell Air Cleaner. Nominal filter dimensions: 20" x 25" x 5"
Actual dimension: 19 15/16" x 24 3/4" x 4 7/8"
For greater filtration, air quality and energy efficiency, upgrade your MERV 8 air filter to the Honeywell 20x25x5 Filter FC100A1037 MERV 13 replacement. The maximum temperature capacity for this Honeywell furnace filter is 180 degrees Fahrenheit (82 degrees Celsius) depending on continuous usage. This all-in-one replacement filter is conveniently pre-assembled for quick and easy installation.